Ecotec swap with new exhaust, new dyno and drag! - Miata Turbo Forum - Boost cars, acquire cats. Ecotec swap with new exhaust, new dyno and drag! Finally got the Eco swap car back from having the entire exhaust reworked. 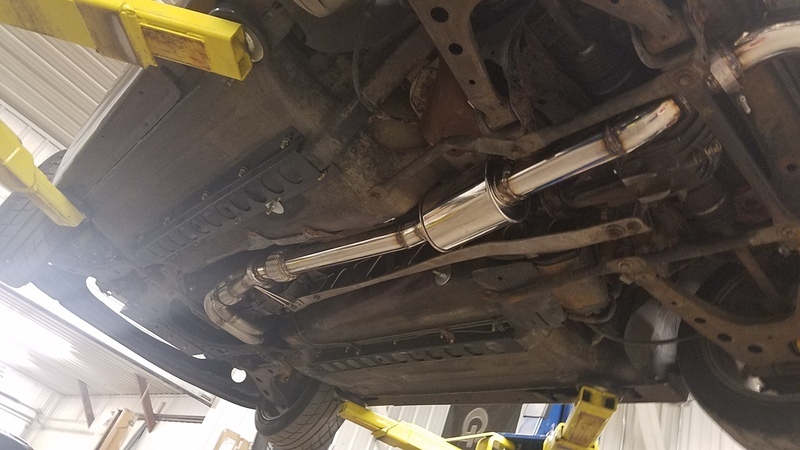 New setup is 4-2 upper header section with 1 5/8" primaries, v banded secondaries that go all the way under the trans and over to the stock cat back flange location and merge to a 3" v-band and a 3" exhaust with Vibrant ultra quiet resonator and Borla oval muffler. Due to matching the cylinders unevenly (1-3, 2-4) the car now sounds properly good. 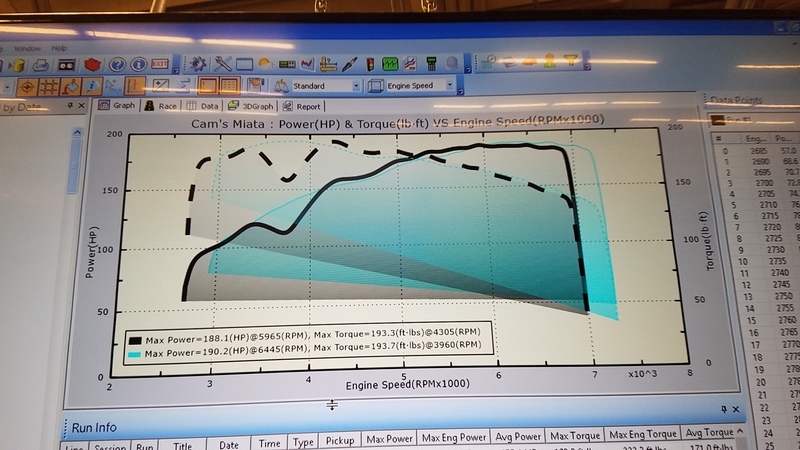 The car had a huge hole in the torque curve which also showed super lean, so we had to rework the vvt tables and fueling to smooth it out. 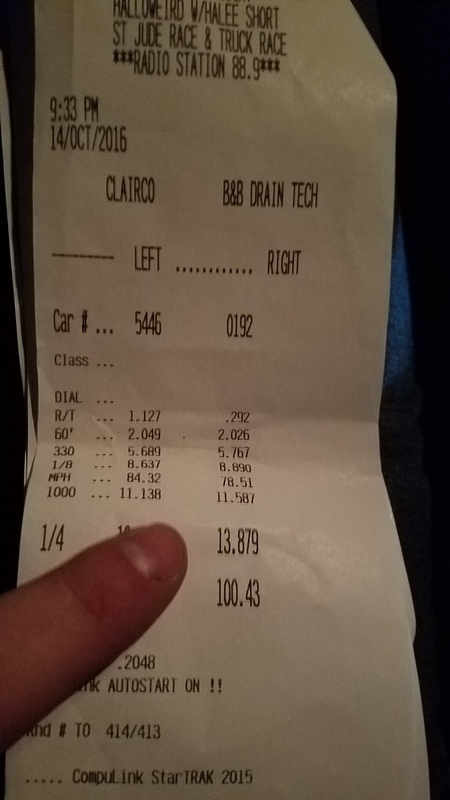 New highest numbers are 192.5 whp and 195.4 wtq. I was heading to Indy to hang out with concealer404 for a birthday skydive (which got rained out) and figured I would stop by the strip on the way. Still not quite enough for me, so I will reassess the build this winter. I may even go back to a BP and build a 1.9L GT2554R setup with a billet compressor wheel for maximum spooling 275whp swaggotry. A 4.8L GM swap was also spoken of due to the potential for crazy revs. Wow that's a nice improvement compared to the MATG version. I really dig the exhaust tone, I've been a huge Borla fan since using them on my SR20 cars back in the day. It sounds so good. How loud is it in cabin? Damn it sounds good! Good job on the track times. Just curious about the video...am I hearing the tires chirp on the 1-2, 2-3, and the 3-4 shifts? clean, peppy, and sounds good. Anyone added a turbo to an Ecotec'd miata yet? This thing's bad ***! A high 13 at 100 is fast. With some boost it would be insane. 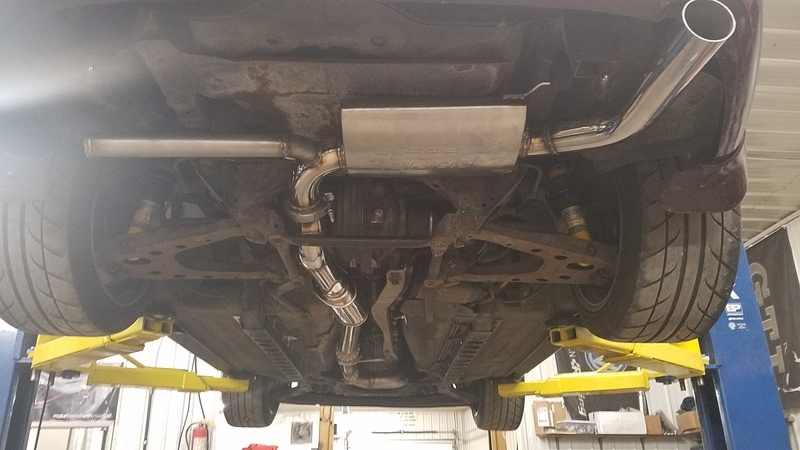 so i guess all it needed was an exhaust and a proper tune. Very slick setup. Sounds good, runs good; and look at that torque! Very not bad. I had the fabricator add a quarter wave resonator and while loudish, does not drone one bit. It is fairly pleasant, plus the thrum of odd firing keeps the monotone 4 banger sound much more percussive and inoffensive. You have no idea. It is making 41whp and 44 wtq more than when I rolled onto the dyno the first time. I am a fan as well, while the engine isn't quite making enough to satisfy me, the sound alone makes it worth keeping. More compression! More cylinder head! More induction! Ah Ha Ha Haaaaa!!! Is that a heimholtz chamber that T's off to the side near the diff? or a exhaust cutout deal? Technically it's a quarter wave resonator. A helmholtz chamber uses the volume of the chamber as well as orifice size for tuning and quarter wave resonators are purely a function of wavelength. Wowza. Do you know which turbo system and how much boost this is? Will you guys be mad if I pull this setup and swap something completely different in? Maybe with a turbo? Why not just FI this setup? 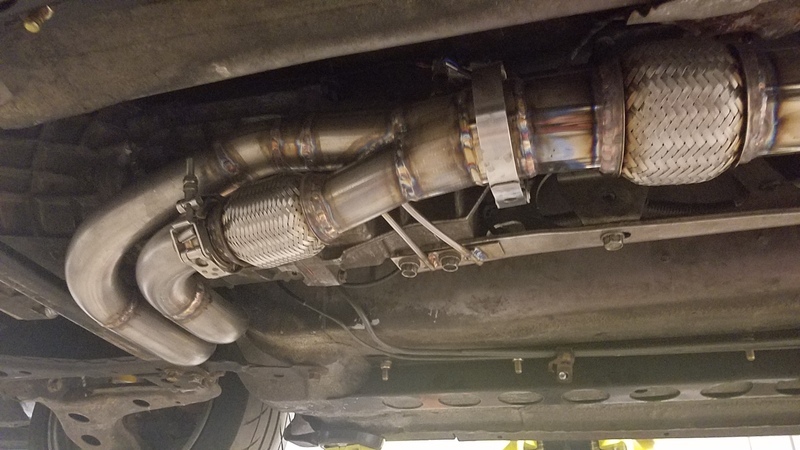 Quick Reply: Ecotec swap with new exhaust, new dyno and drag!